Anytime a new season is coming I always create a list of clothing I need or want. 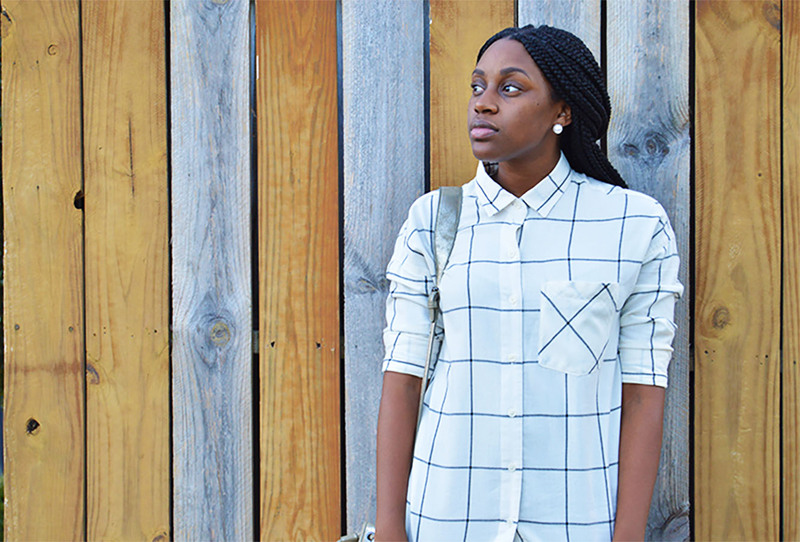 This fall 2015 I’ve been determined to find some awesome plaid shirts. However, I still haven’t found one that I want, but I did find the perfect windowpane patterned shirt. It wasn’t exactly on my list of clothes to buy —but hey I love it! Now that fall is officially here, all I can think about is purchasing cozy and comfortable clothing to create some cozy chic outfits. 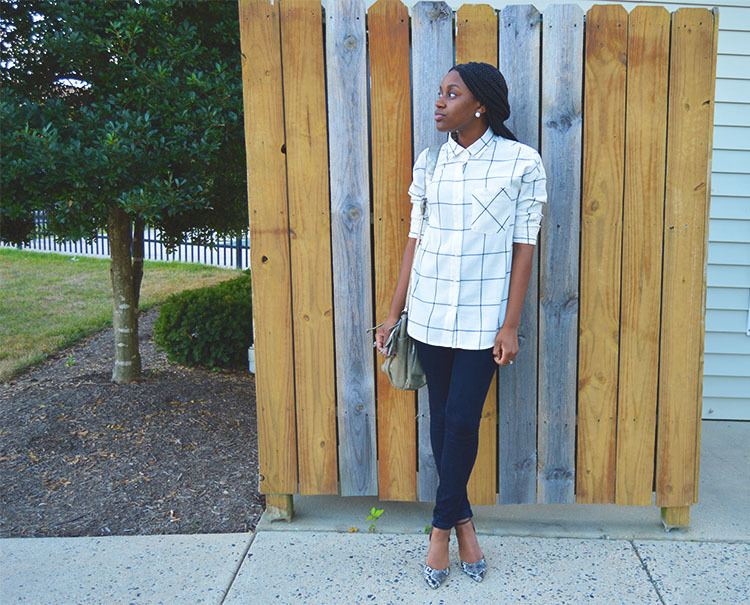 (DJS & STYLE tip of the day: You can still be chic and stylish in a comfortable and cozy look. Just have fun with it and throw some flair within the look). 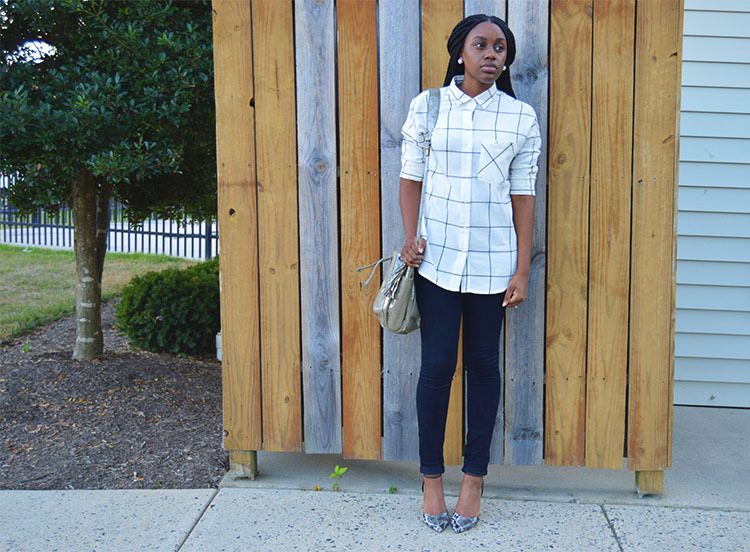 My boyfriend flannel top definitely falls in that list. What makes it even better is that it looks great with snakeskin! 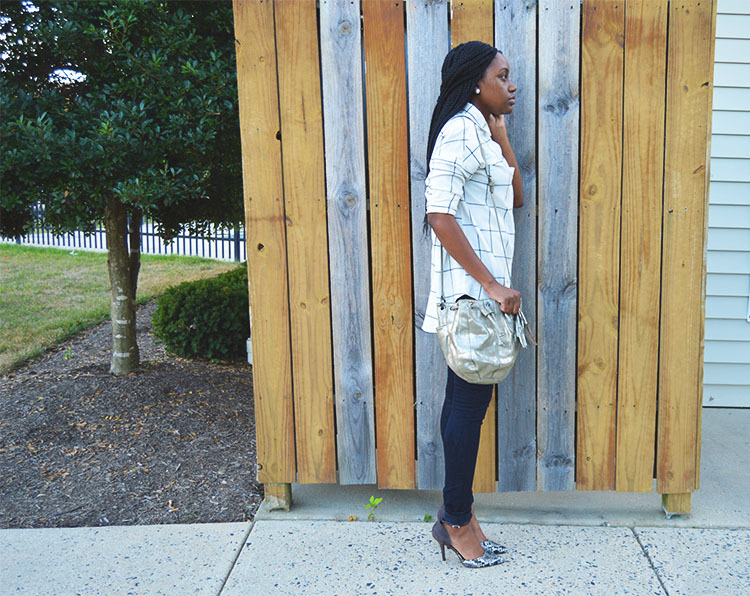 I love mixing prints and I had so much fun experimenting with these prints. Great outfit. You’ve pulled it off brilliantly!! Love the shirt! 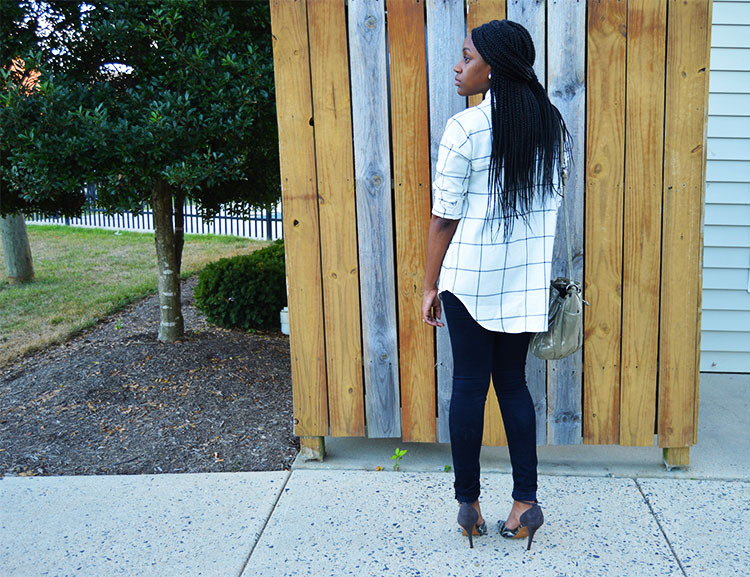 Girl I am loving your windowpane top! This is a super chic and casual look. You have great style! Thank you so much! I’ll check you out! Looove this look! 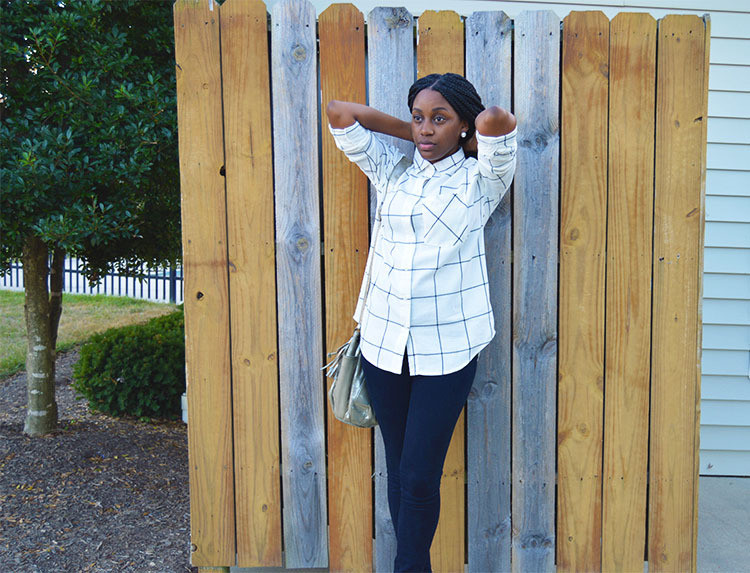 Always a fan of those flannels! xo!